This is a guide to citation styles resources at Alkek and beyond. 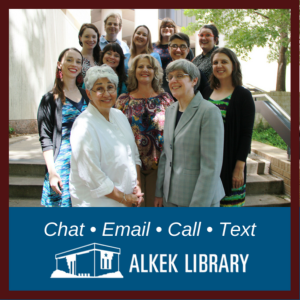 Welcome to Alkek Library's Research Guide for Writing Style Guides. Use the tabs above to navigate to resources on specific citation styles. Purdue OWL is a good online resource to help get you started and addresses MLA and APA citation styles. Research and Documentation Online by Diana Hacker and Barbara Fister of Gustavus Adolphus College and Bedford/St. Martin's also has several different citation styles organized by disciplines and then writing style. Print copies of the APA, MLA, and Turabian style manuals are kept at the Research & Information desk on the 2nd floor for quick reference. If you have specific questions about citing your sources, writing tips, or help with editing, you can go to the following places on campus for more assistance. Get in-person tutoring at the Student Learning Assistance Center, or SLAC, located on the 4th floor of Alkek Library. Check the website for hours and availability. SLAC also maintains a good handout page for quick reference. The Writing Center is located on the first floor of ASB North. You can get help with all types of writing, including papers, essays, and resumes. The Writing Center offers in-person and online tutoring (check their website for more information). Round Rock patrons can seek assistance from the Round Rock Writing Center. What style do I need to use? AMA is used in medicine and related disciplines. ASA is used in sociology. APA is used in psychology, education, and other social sciences. APSA is used in political science and related disciplines. Bluebook is used for law and legal citations. MLA is used in English, art, literature, and the humanities. Turabian/Chicago is used for history, the arts, and many other disciplines. IEEE is used in engineering and other related disciplines. For more information, you can consult the discipline/style guide listing page from Purdue OWL here. If you are unsure which citation style to use, ask your professor. create in-line (or parenthetical) citations in your paper. The Library offers RefWorks workshops and EndNote workshops throughout the semester. Some databases have a built in citation generator that you can access from the text or citation of an article. Be sure to double check using your style manual or SLAC handout.